Nishio Sensei , a direct student of O Sensei. My skills and level in aikido today are greatly attributed to Shoji Nishio-sensei, the legendary martial artist, and a direct student of O-sensei. I saw him for the first time in 1986, then became his student and studied with him until his last days. Sensei passed away on March 15, 2005 at the age of 77 years. He was an expert and master, and at the same time a responsive and easy person to work with. He was also a great man, simple, elegant, affable, very intuitive with a sense of mutual respect for his environment. His authority extends not only to foreigners, but as a master and a genius of budo, he was respected by his countrymen. 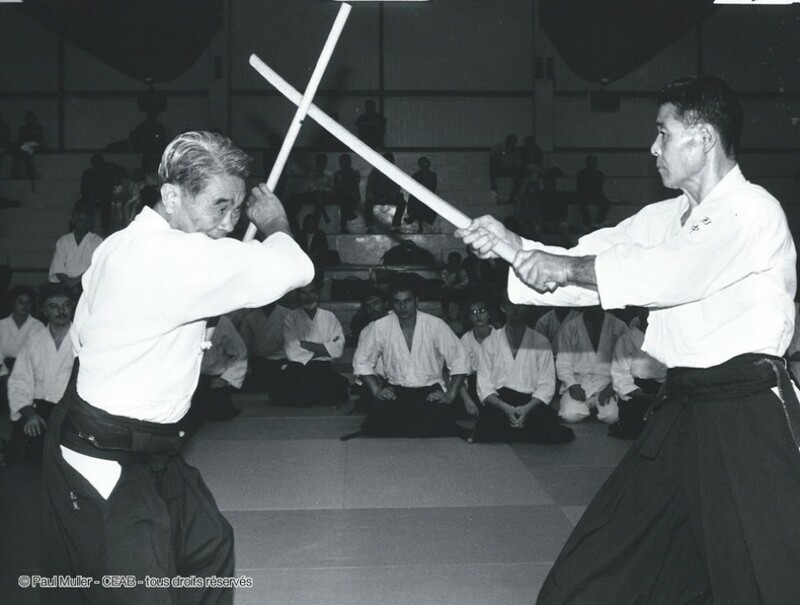 Nishio Sensei was a master not only in aikido, but also the glory of the sword artist also followed him. He created his own style of Iaido, which was officially recognized by the Japanese Federation of Iaido and the style is named Aikido Toho Iai. For a long time, Nishio-Sensei held the ranks of the eighth dan in Aikido, eighth in Iaido, seventh in karate and fifth in judo. Nishio-sensei was teaching at the Hombu Dojo during the lifetime of the Founder, O-sensei, i.e. up to 1969. Magnificent calligraphies were painted from the brush of Nishio-sensei. Nishio-sensei's way in budo was very unusual. This is manifested in his style, which is dynamic, sharp, natural and effective. Atemi is his calling card. The moment of convergence - deai and the instant of entry - irimi were accompanied by sharp and very diverse atemi. He often used atemi at different stages of the technique he was applying to his opponent. His atemi arsenal was really broad and he used his fists, elbows, feet and knees. Nishio-sensei believed that every aikido technique offered four or five opportunities to inflict a total defeat. However, he was conscious to be careful with the use of strikes in practice and urged not to apply them unless absolutely necessary. He re-inforced the precept of O-sensei that aikido is not aimed at the destruction of the enemy, but quite the contrary and requires us to treat life with care. During his Iaido lessons Nishio-sensei spoke of compassion being intrinsic to the martial arts. He destroyed the image of samurai as a cold-blooded killer, "Sword of aiki is not destructive. It is a tool for comprehension of the World and unifying with the Universe." His in-depth knowledge in the art of handling a sword notably affected his vision of aikido. Nishio-sensei believed that a true understanding of Aikido could only come through the experience with weapons, with the sword (ken) and staff (jo). Sensei gave special emphasis on exercising with a real sword. His style of Iaido is named Toho. "Toho" literally means "the principle of the sword." Nishio-sensei has developed about 30 different kata with a sword. These kata were featured regularly in his aikido seminars. They are associated with forms of aikido, and each of them reproduces the movement of Aikido with striking similarity. 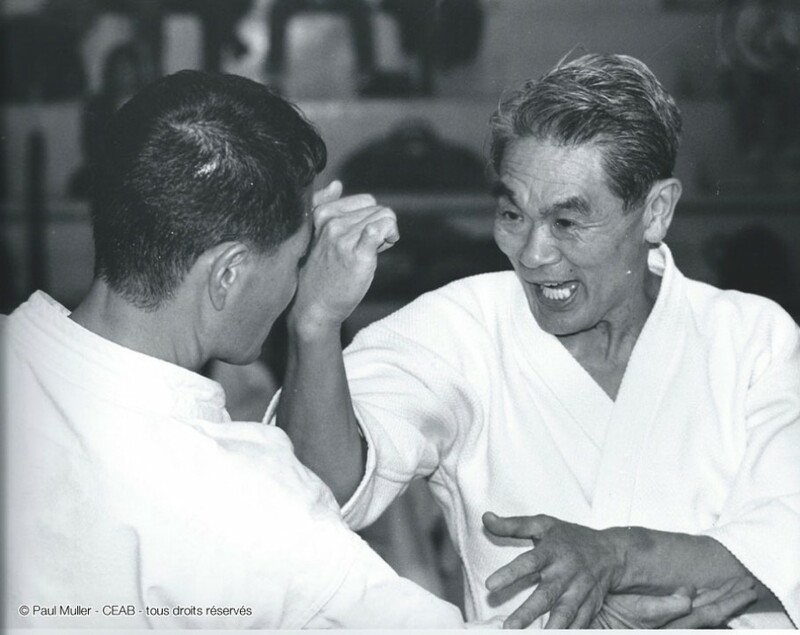 The forms of these kata were constantly evolving, and even for his best students it was not easy to keep pace with these changes. 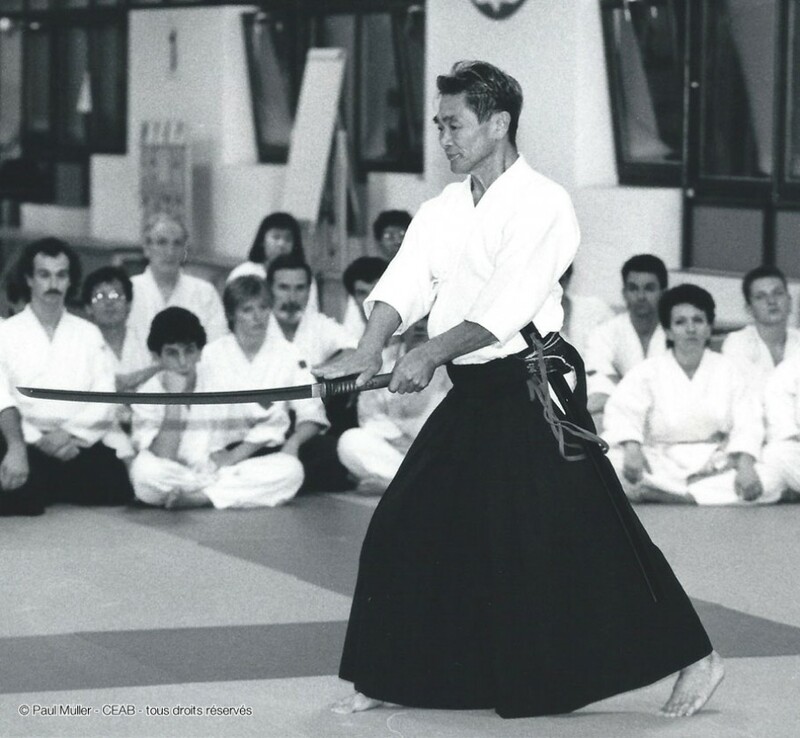 By the spring of 2001, the time of his last seminar in Europe (Denmark), Toho Iaido forms took their final shape. This is the final version of the fifteen katas. Each kata represents the specific situations of the combat with one or more opponents. Some of these forms are similar to those I had learned in my twenty years in the classes of Ichimura-sensei. 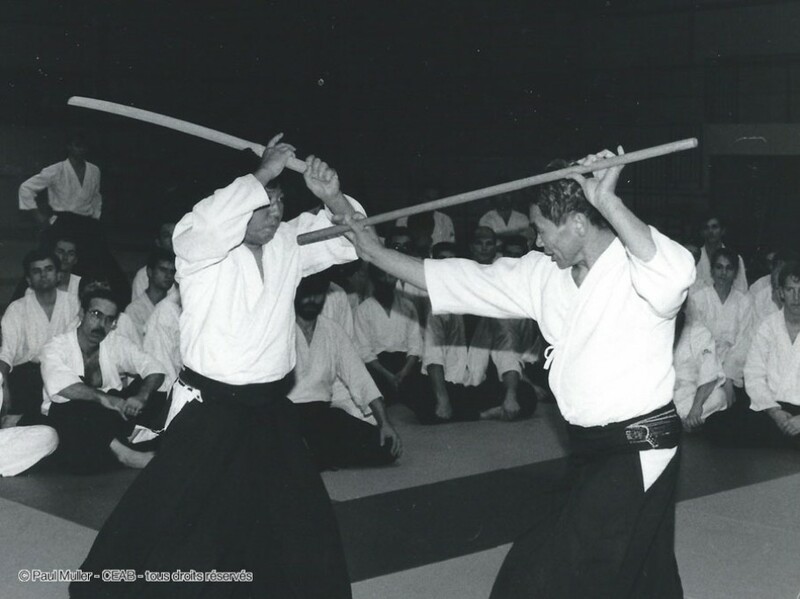 However a distinguishing feature of Toho Iaido forms in its current form – is its connection with the classical Aikido movements. In the final version of the fifteen kata Toho Iaido, only the first and last kata are not directly related to the technique of Aikido. Thirteen other forms correspond exactly to the thirteen Kihon of Aikido (basic techniques of Aikido) regarding the movement of the body and the arms as well as the range of motions. When first acquainted with the Toho Iaido, its relationship with aikido is striking. 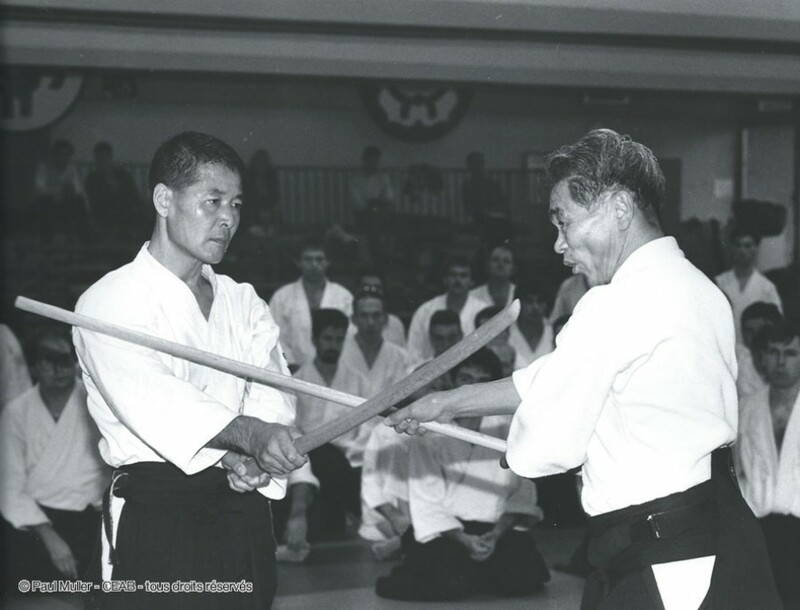 Developing the theme of community between Aikido and weapons, Nishio-sensei was not limited to the creation of Toho Iaido. He offered kumitachi or ken tai ken (duels-exercise with sword against sword with a given scenario), and Kumijo or jo tai ken (with a staff against a sword.) Among the most brilliant "translation" of weapons combat to the language of empty hand combat should be noted aihanmi shihonage omote, aihanmi kotegaeshi omote and ura, gyakuhanmi sotokaitennage, iriminage in many forms and, of course, shomen and yokomen ikkyo ura and omote, nikyo and gokyo. But that's not all! He introduced the new work techniques with a weapon of: jo no tebiki and ken no tebiki. The situation of jo no tebiki involves a stick in nage hands and the stick is used to engage uke in the desired motion or movement and to bring him under control. Uke tries to prevent nage using a weapon, which he holds in his hands and grabs nage's wrist. Nage engages uke into motion or movement, masters the situation and applies a technique. In most other styles of aikido these exercises if they even exist, present a limited variety of techniques bound to kokyunage. Nishio-sensei in this section provides a wide range of aikido techniques. For the vast majority of French aikidoka this approach was a stunning revelation! Having participated at seminars of Nishio-sensei or having watched the recordings, many have discovered new horizons. This approach appealed to the constant development, the review of their attitudes and skills and offered the opportunity for further growth to all aikidoka. 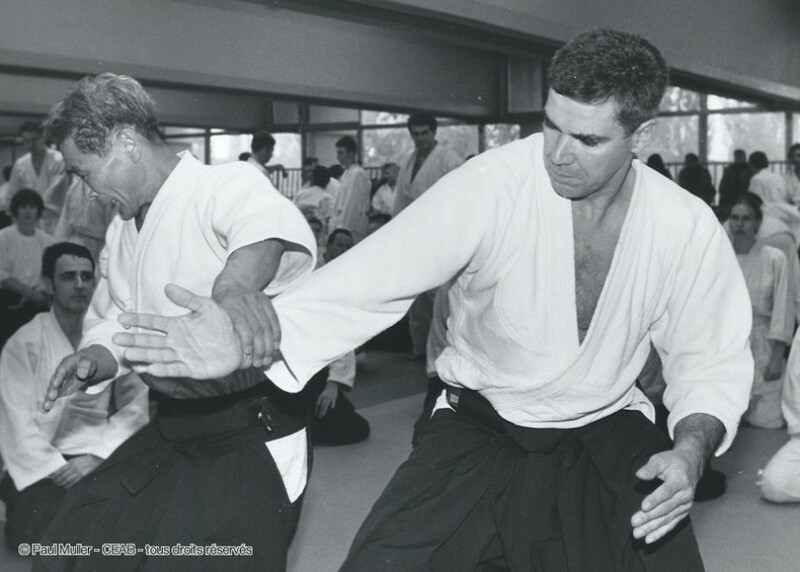 At his seminars in Europe as well in the dojos where he taught in Japan, Nishio Sensei explained that the way to understand the basic principles of Aikido and the correct development of the technique lies in weapons training in the described form. With the sword there is a clear understanding of distance and speed. Repetitive exercises with a sword will put hands into the correct place for when the execution techniques are being performed without weapons, while working with jo allows the body to achieve the movement quality of koku ryoku. However best of all these forms of weapons illustrate the main principle of Aikido - the principle of irimi. 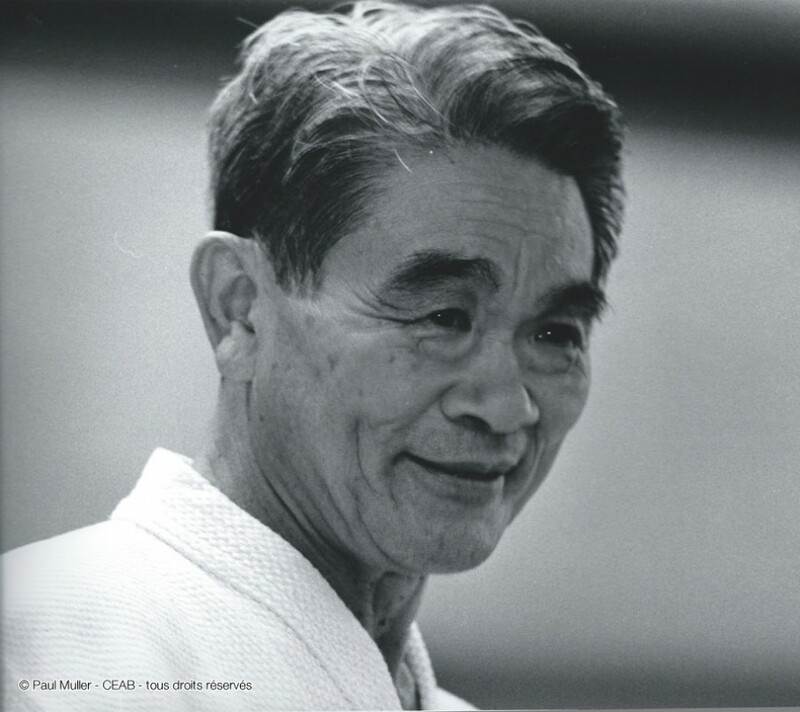 Nishio Sensei was born in Aomori in northern Japan on Dec. 5, 1927. At 18, he began studying judo and karate. He studied judo at the Kodokan, and made his first steps in the karate dojo of Yasuhiro Konishi Sensei. In postwar Tokyo it was not easy to find a gym. They trained where they could find shelter. For this reason the same dojo often adjoined different schools and as a result visitors to the dojos could explore different styles and trends of budo. In the spring of 1951 at the age of 24 years Shoji Nishio knocked at the door of Aikikai and became a student of O-sensei Morihei Ueshiba. 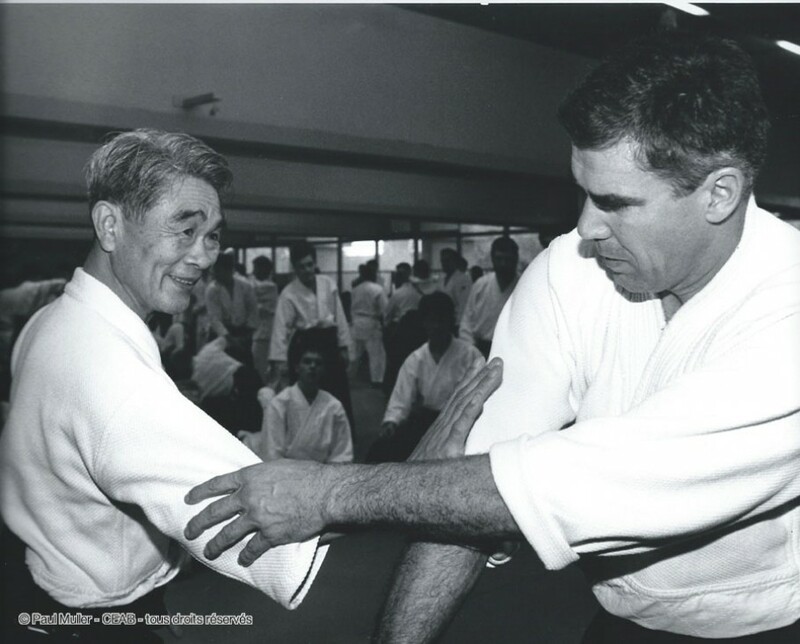 There he became acquainted with many, whose names were later written in the encyclopedia Aikido: Tohei-sensei, Osawa-sensei, Saito-sensei (with whom he was connected by close ties of friendship), Arikawa-sensei and many others. Nishio-sensei told me how he opened new dojo in different parts of Japan together with Nakazono-sensei and Yamaguchi-sensei, and how together with Tada-sensei he returned to the train station Okubo after training. There he also met Tomiki-sensei, whom he had already met at the Kodokan. Tomiki-sensei, promoted competition in Aikido, and for a while Nishio-sensei shared these views. However even then he agreed to the relevance of competitions in Aikido for school children only. At the same time, he became acquainted with Shioda-sensei, who, not being uchideshi, attended the dojo occasionally. At that time Sunadomari-sensei and Arikawa-sensei held the position of uchideshi. Nishio Sensei became an instructor at the Aikikai in the 1960-s (see Volume 2 of the book: Saito Sensei «Traditional Aikido»). 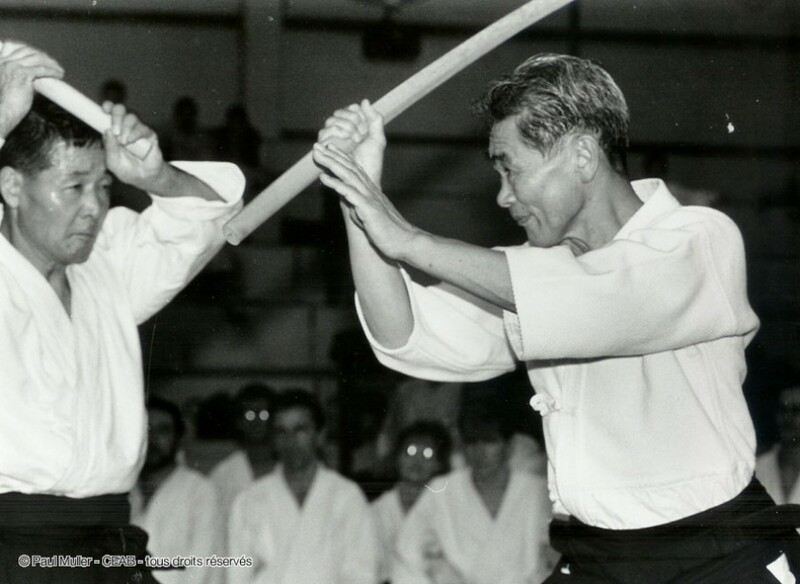 In 1955 he began practicing Iaido and Jodo.. The study of these disciplines was undertaken to better understand Aikido and to delve further into it, following the instructions of O-sensei. 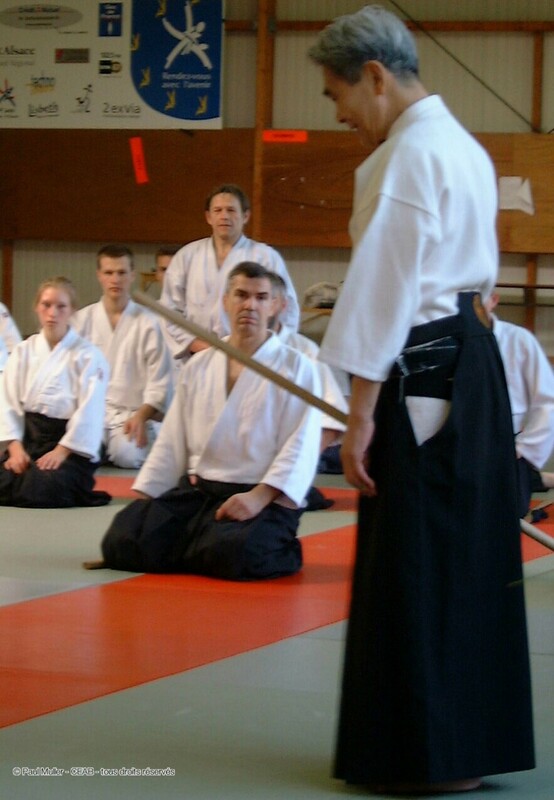 O-sensei considered practice with sword and staff an integral part of the aikido practice. So it happened that Nishio-sensei began studying various disciplines of budo. He was lucky to have been taught by the great masters, holding 9th and 10th dans, namely sensei Shigenori Sano and Sensei Takaji Shimizu. With Shimizu-sensei, Nishio-sensei studied Jodo in Take Muso Ryu Dojo. When O-sensei passed away Nishio-sensei stopped teaching at the Aikikai, but kept close ties with the alma mater and a close relationship to the second Doshu, Kisshomaru Ueshiba. Then he became a member of the jury for the top ranks at Aikikai. The committee consists of eight of the most respected teachers of aikido at that time. Nishio Sensei regularly taught in his main dojos, which were four dojos north of Tokyo and Yokohama. He conducted seminars in many cities in Japan, Europe, the U.S. and Mexico. Reading his biography could induce to think he was teaching Aikido as a living, but that was not the case. He served as an official in the Ministry of Finance, the Department engaged in quality control of printing banknotes. 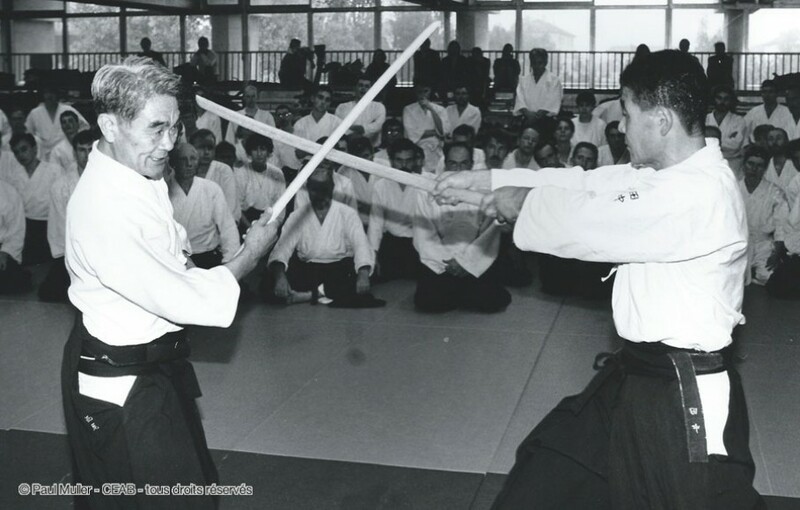 Nevertheless, when he first came to us in France, his assistant Shigeru Suzuki San(6° dan) told us that, in respect to his position Aikido and Iaido, he did not have to be constantly present at his official work. He had, in fact, a very flexible schedule for teaching, while keeping his position in Administration…in a way ”seconded to” the Martial Arts. I started Aikido in May 1963. 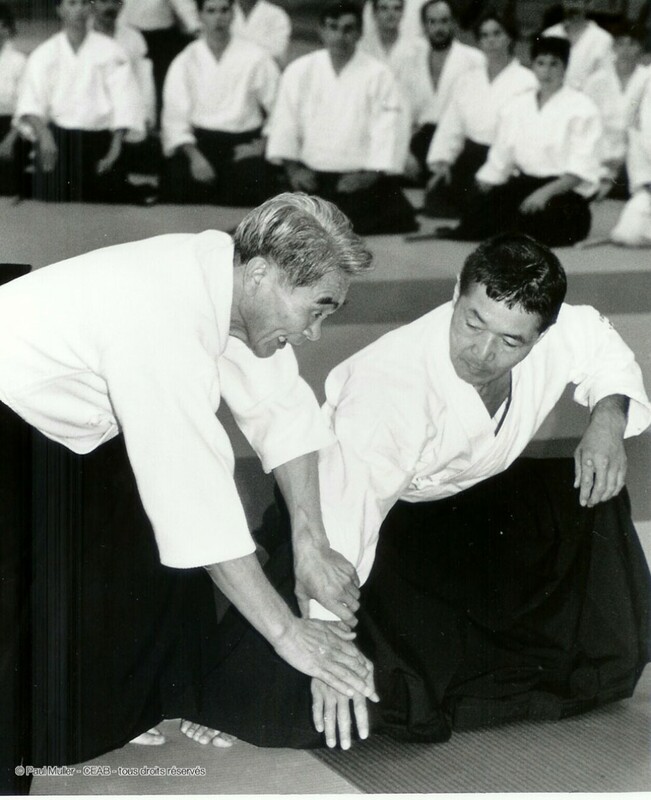 From my first steps in aikido I was fortunate to learn from the Japanese masters: first from Nakazono -sensei, then from Noro-sensei, and since 1964, Tamura-sensei, when he moved to France. These three masters were then living in France, worked in close cooperation teaching in France and throughout Europe. 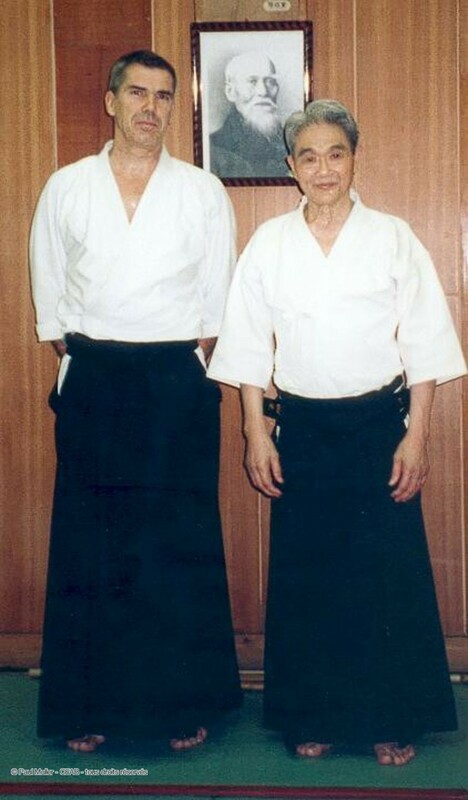 Nakazono-sensei and Tamura-sensei together were my examiners for my Shodan Aikikai in 1966 and Sandan Aikikai in 1971. Meanwhile aikido in France grew at an unprecedented rate! The number of people practicing aikido was growing by 15 - 20% per year. Tamura-sensei turned to Chiba-sensei, then living in London, with a request to assist in teaching and encouraged his senior student internships at Chiba-sensei and I gladly followed his advice. It was the golden age of Aikido in France. And it lasted until 1982. 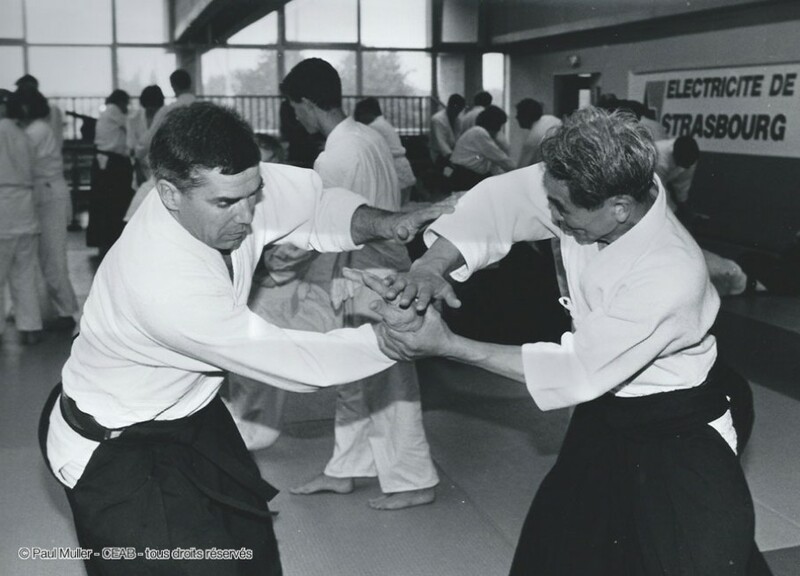 In June 1982, the French Aikido federation split. Tamura-sensei left the official federation of UNA-FFJDA, despite the entreaties of his senior students. The French federation in which Tamura Sensei (1933 - 2010) taught from 1982, still exists today, it is the FFAB, French Federation of Aikido and Budo (Fédération Française d'Aïkido et de Budo). We too were ready to leave the Judo Federation (FFJDA), but not under the conditions offered by one of the students of Tamura-sensei. As a result about 60% remained in the aikido federation UNA-FFJDA, but a year later, in 1983, we left it to form a new community. Thus was born FFAAA, French Federation of Aikido and Aikibudo. Due to these events, the senior students of Noro-sensei, Nakazono-sensei and Tamura-sensei (the three artists who were at the origin of Aikido in France), were for the first without a mentor from Japan. Chiba Sensei had also left Europe and moved back to Japan, and then in the early 80's he moved to San Diego in the United States. Thus, I was also left without a mentor. One defining moment in this time made the decision for me to travel to Japan. Stanley Pranin, the founder and chief editor of «Aiki News» sent me a video tape "Review of Aikido in Japan» («All Aikido Japan Demonstration») from 1983. This tape was a recording of famous senseis like Sunadomari, Arikawa and Kuroiwa, etc. 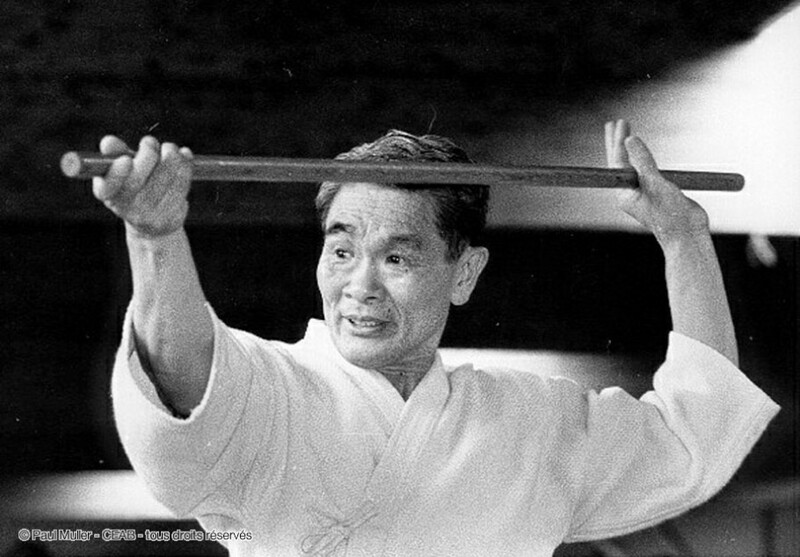 Kuroiwa-sensei was originally a boxer and a master of the short wooden stick. I've seen these masters in the old movies on 8 mm film. We watched these movies in the evenings at the annual seminars in Annecy, which took place in July and August from 1963 po1972 years and lasted for four weeks. But in this new film I saw a master who was not familiar to me, extraordinary, lightning in the performance art, with striking speed and accuracy. It was Nishio-sensei. 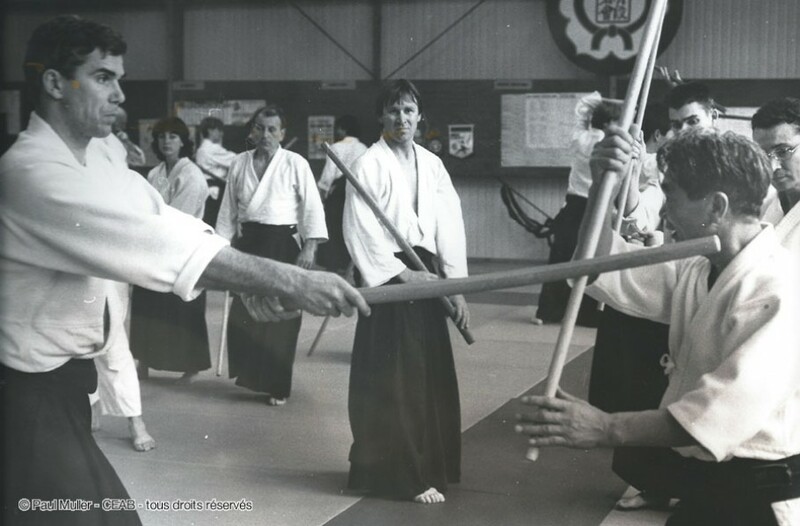 Above all, work with weapons was a part of his aikido! This event was embodied and demonstrated in the five forms, described earlier and it ended with a demonstration of iaido kata. Speed, virtuosity, the highest purity of movements and the intensive work with the arms reminded me a little of my teachers. So he was the master that I was looking for! When I came to Japan in 1986, Stanley Pranin helped me to meet Nishio-sensei. Strangers were not permitted to come uninvited to his dojo, so first of all Stan arranged my meeting at an office of «Aiki News» in Tokyo with a Nishio Sensei’s student who had a 6th-dan and was one of his assistants. Only after that meeting was I able to get to join the class at the big dojo in Yokohama where Nishio-sensei was teaching once a week. Nishio-sensei gave me and my friend Max a very warm welcome. The size of the Dojo hit me, as it was about 700 or 800 square meters. I remember that the Kamisa was a huge flag of Japan. My friend and I were not new to Aikido, each of us had studied for 23 years and each had a fifth dan. The form however of usual classical movements was suddenly quite new to us. I remember the evening classes, as if it was yesterday! 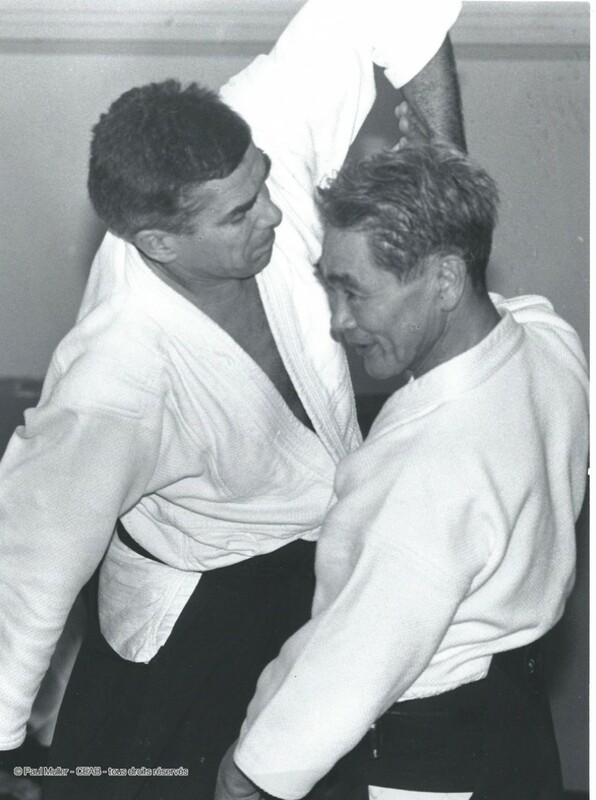 Training began with aihanmi katatedori udekimenage: aite after passing under an arm of his opponent attacked his throat with the fingers of an open palm, so it was not possible to relax even for a second. This was then followed shihonage and nikyo. After the session, we dined together, and I ventured to ask Nishio-sensei, if he may accept an invitation to France on behalf of my federation (FFAAA). He said "yes," and expressed a wish to come with a assistant. Due to the complexity of his work with weapons – it required at least two years of intensive training in his style, before one could work as his assistant. I was happy to secure the agreement of Nishio Sensei, but ran into unexpected resistance from my federation. I could have invited sensei to a private seminar, but I believed that it would be more correct to invite such a person, one of the most powerful teachers of Aikikai and member of the Aikikai comity for high grades, on behalf of the Federation. As a result, the first visit of Nishio-sensei to France took place only in 1989. 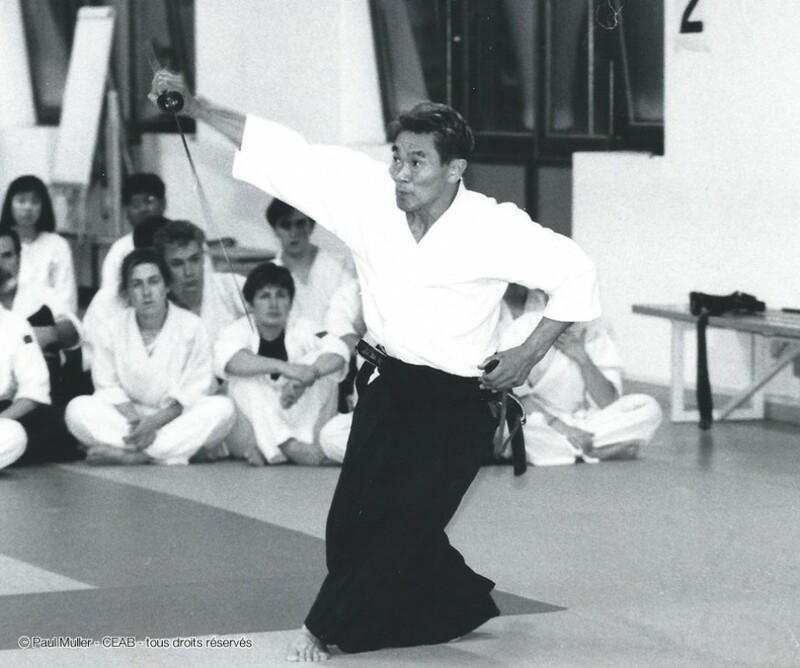 Nishio-sensei visited France from the spring of 1989 to the autumn of 2000 and conducted twelve workshops. Each time he was accompanied by a Japanese assistant. Often he was accompanied by Shigeru Suzuki, but Mitsuru Wakabayashi, Tanaka, Shoko Watanabe, and Koji Yoshida (1991 and 2000) also came. All of them at that time held 6th or 5th dans in Aikido, Iaido and Karate. After the 3rd year we have mastered a few movements with arms, so Sensei then had an opportunity to choose uke among Europeans who were there on the mat. From 1996 on, I resumed my regular trips to Japan. In the morning and in the afternoon I attended classes at the Aikikai Hombu Dojo in Tokyo, and in the evenings in the suburbs of Tokyo - Warabi, Saitama and Yokohama, where Nishio-sensei was teaching three or four times a week. In 2004, I attended his classes in the spring, and summer. When I came for the third time in September , for the Congress of the International Aikido Frederation (FIA), I did not see him - he had just gone into hospital. He was seriously ill and he did not have enough strength go to Europe or America since 2001. He did however struggle on with the disease, and for all four of his last years continued to teach regularly in his dojos in Japan. I remember Nishio-sensei as a very friendly and easy communicating person. The only thing he asked for was to leave him time to rest to recuperate. He needed some rest during the daytime and did not have dinner too late. He preferred simple food and enjoyed the pizzeria, where one could order pasta. I invited him to my house and in one of his first visits, decided to cook rice. But I did not know what rice to use, white or brown unpolished. Nishio-sensei was in a close relationship with Nakazono-sensei and Nakazono-sensei ate only unpolished rice. Hesitating I ventured to choose white rice. At the dinner we talked about healthy, macrobiotic diet (which Nakazono-sensei was committed too), and I gently asked the guest about his preference. Nishio-sensei said, "Yes, I remember this Nakazono’s crazy ideas with brown rice, even dogs shunned it". And even though I have chosen brown rice occasionally, at the time I guessed right. On the eve of All Saints' Day (Toussaint) the first of November in France, there is a long vacation. On the fifth or sixth visit to France, Nishio-sensei arrived during these vacation days. He arrived in Alsace on Wednesday or Thursday, held a seminar in Strasbourg on the first weekend, then a week long seminar in sports-educational centers followed (CREPS) in the south of France in Aix-Provence or Boulouris. To finish there were, two or three days of training in Paris before returning home in Tokyo. At this time seminar’s beginning, we trained first day for four hours aikido and one hour iaido. The morning classes began at half past nine, but on the first day after a morning class sensei asked us if we could start an hour later. He was however concerned that a change in a pre-announced schedule could be troublesome. After some thought, Robert Hanns and I said that from tomorrow, we could get up an hour later and start the class an hour later too, and the schedule would not change at all ! Nishio-sensei was puzzled. It turned out that on that night France passed from summer time to winter time, and the clocks were moved back one hour. The procedure is not known in Japan! As in Nakazono-sensei, opposites naturally combined in Nishio-sensei. His techniques were accompanied by very sharp and effective atemi. On tatami, he seemed to be a bunch of energy. His actions were sudden, and uke always had to stay alert. At the same time he was talking about a universal love for the living, the need for compassion and mercy for an attacker bequeathed by O-sensei. He combined amazing simplicity and kindness. When asked about the philosophical basis of his vision of Aikido, he replied that he was far from that. He did not care about metaphysical concepts like Kototama that Nakazono Sensei considered fundamental. But in his speech I often heard the words "sono mama". The meaning of this is "just as it is." This phrase is well-known and frequently used in Zen. Striving for goals, we lose one. But the desire to escape a goal – is also a goal itself. Zen teaches nonfictional world view, sudden merging with it and perceiving what it is in this moment. Nishio-sensei was gifted by gods with that spontaneity.